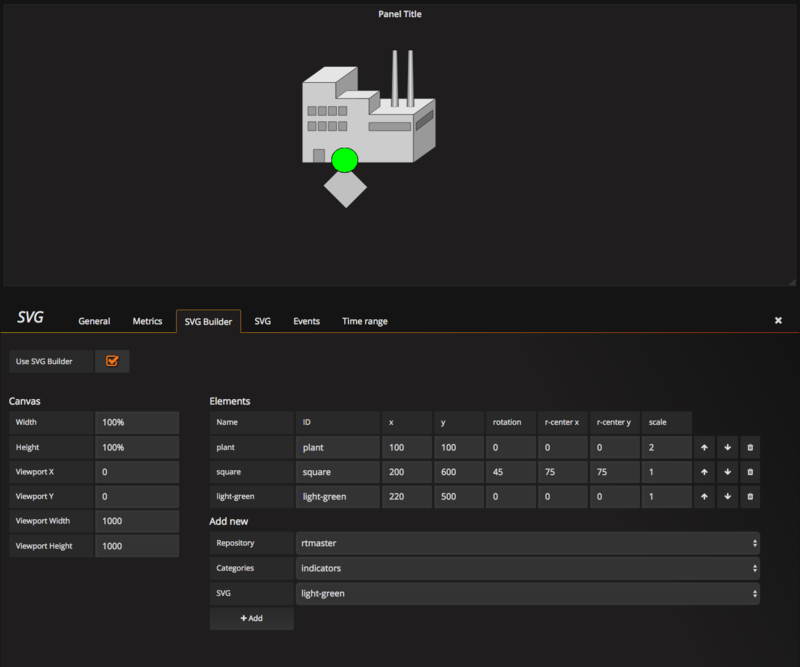 Grafana panel for displaying metric sensitive SVG images using the snap svg library (http://snapsvg.io/). It is possible to clone this repo directly into your plugins directory. paste your svg code here. Don't forget to include a viewbox and IDs for all relevant objects. 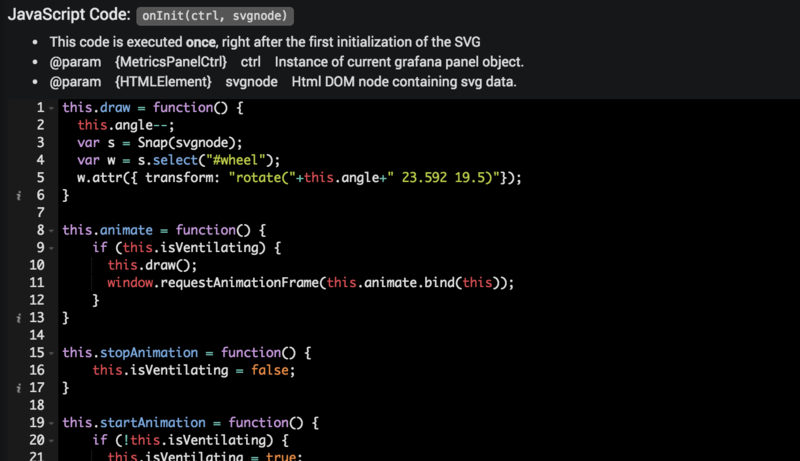 Note: You cannot use SVG Data editor together with the use SVG Builder option checked! ctrl passes a grafana MetricsPanelCtrl object. This object contains all relevant data pertainig the current panel. You may want to use the ctrl.data array property to access the current measurement data. this event is executed once, right after the first initializiation of the SVG. The data passed to the panel is now stored in the ctrl.data property. The alias property ctrl.series should not be used anymore and is to be regarded deprecated. install marcuscalidus-svg-panel plugin. Either by cloning it into separate folder (=safe method) or by pulling it into the current version. replace all occurrences of grafana-svg-panel with marcuscalidus-svg-panel in the json file.